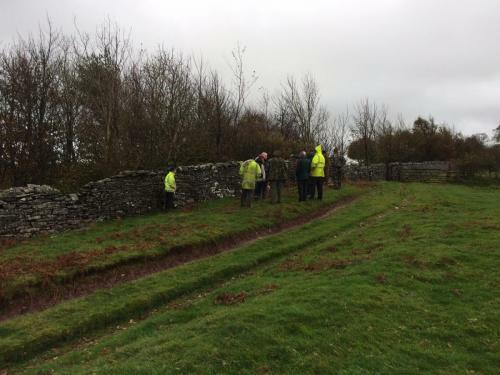 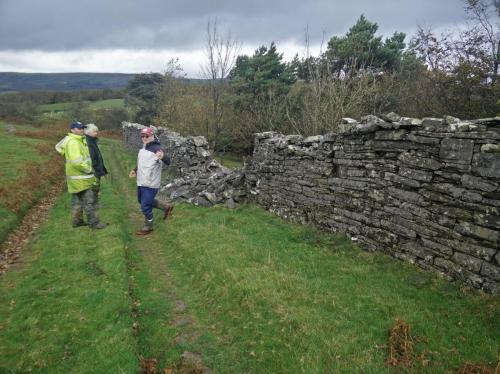 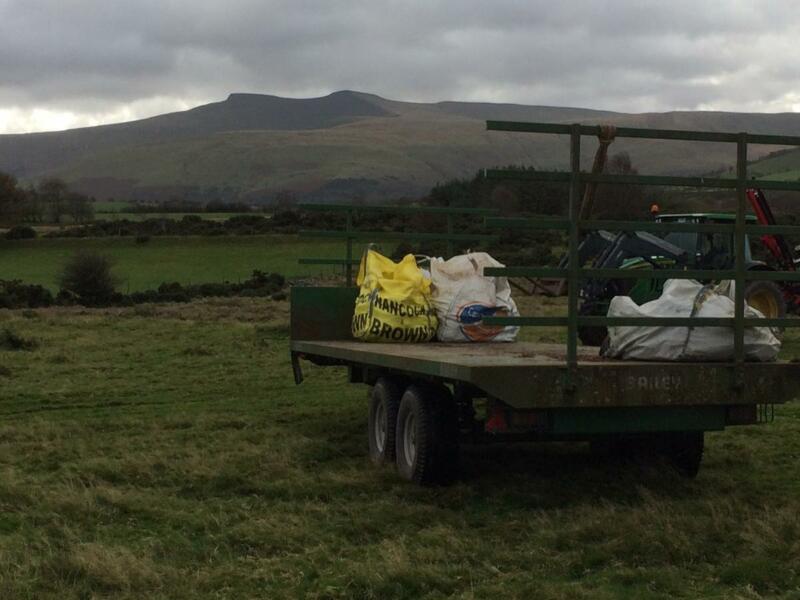 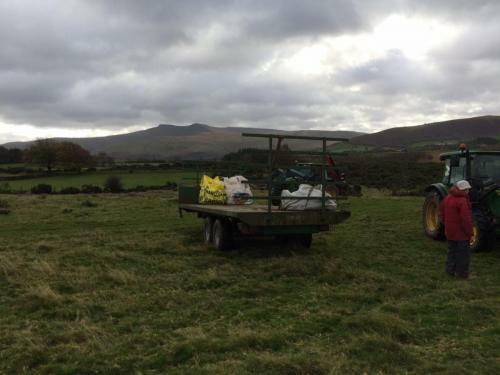 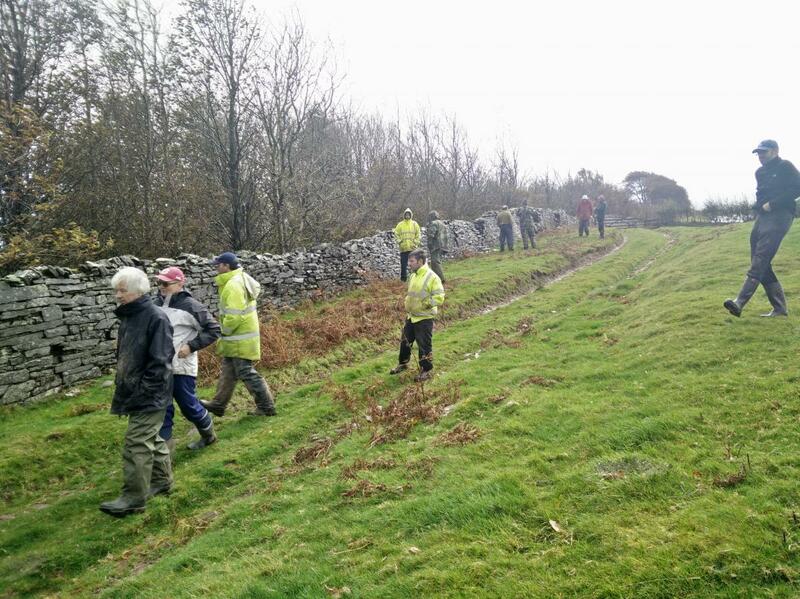 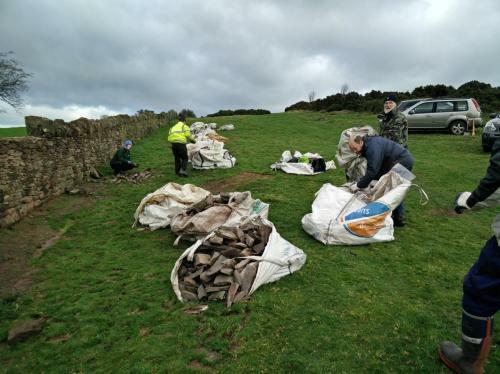 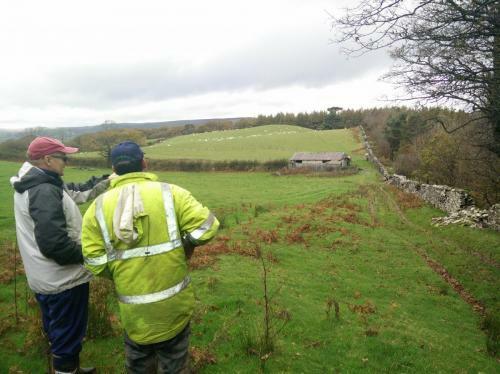 The All-Wales branch met on Sunday the 22nd October 2017 to conduct a tidy up exercise of the Mynydd Illtyd Common near the village of Libanus, Brecon Beacons. 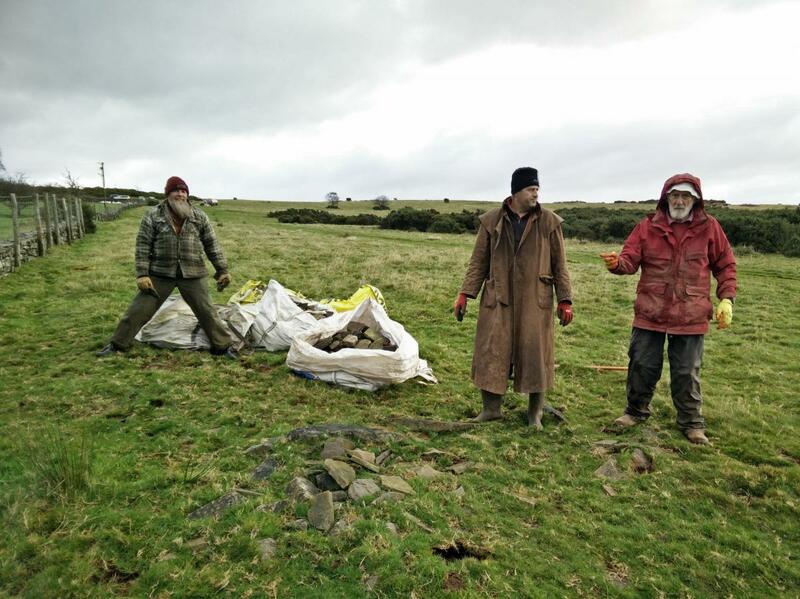 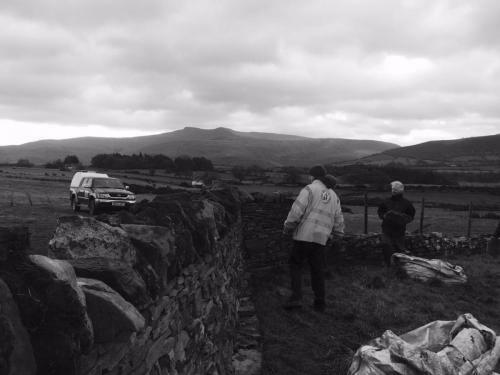 Members David and Richard had worked through storm Brian on the previous day to sort and arrange coping stones for the existing wall. 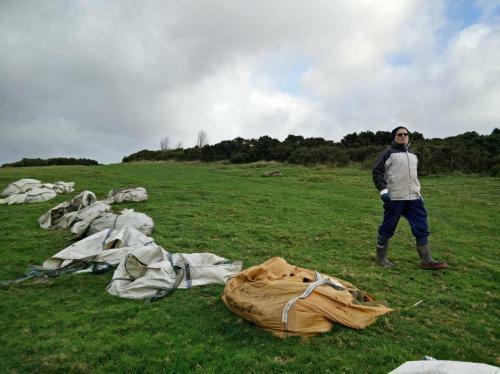 When asked how bad the weather conditions were an understated reply of “a bit windy” was returned. 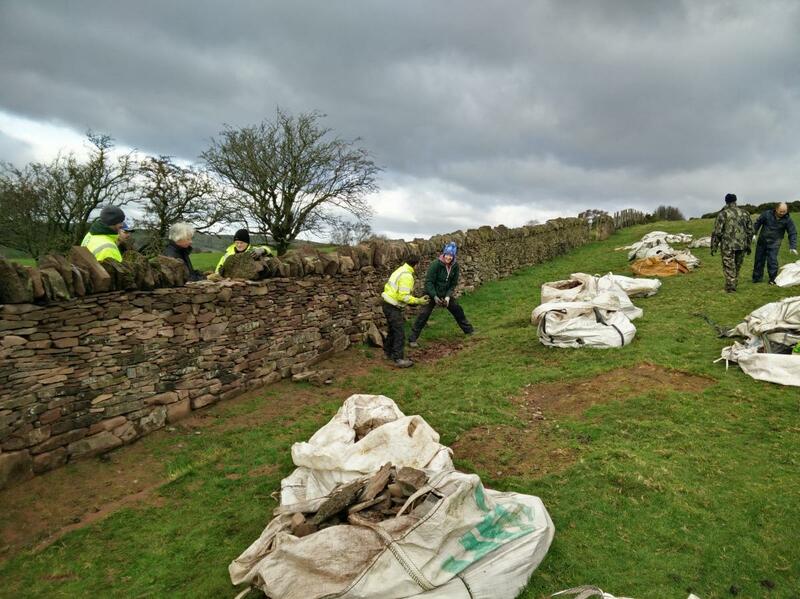 A total of 11 Welsh branch members turned up to assist with the final part of the build and clean up of existing builder bags (read remnants) which contained left over stone. Members met in the Brecon Beacons Park mountain centre at 09:00 hrs. Also in attendance was the DSWA national Chairman Ray Stockall. 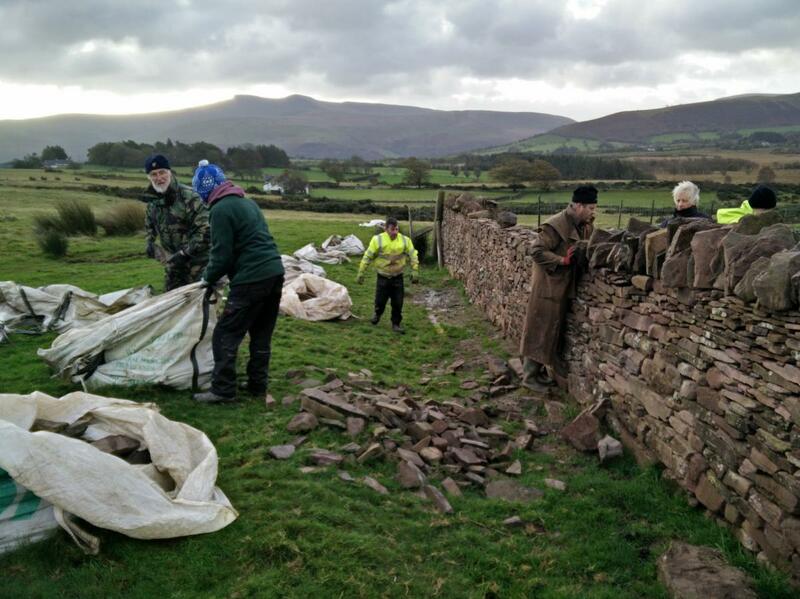 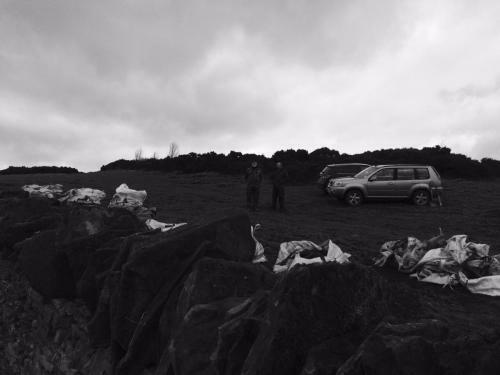 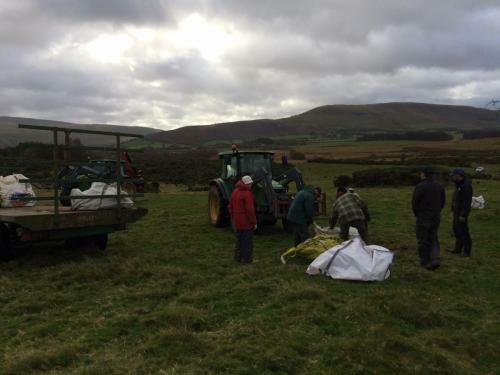 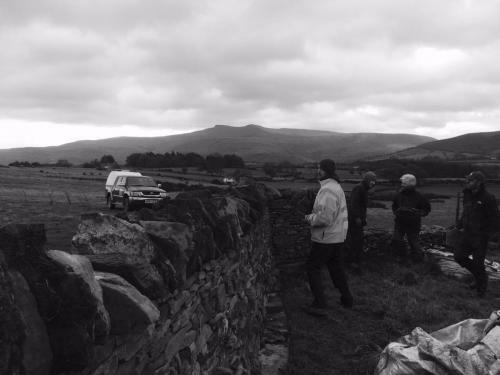 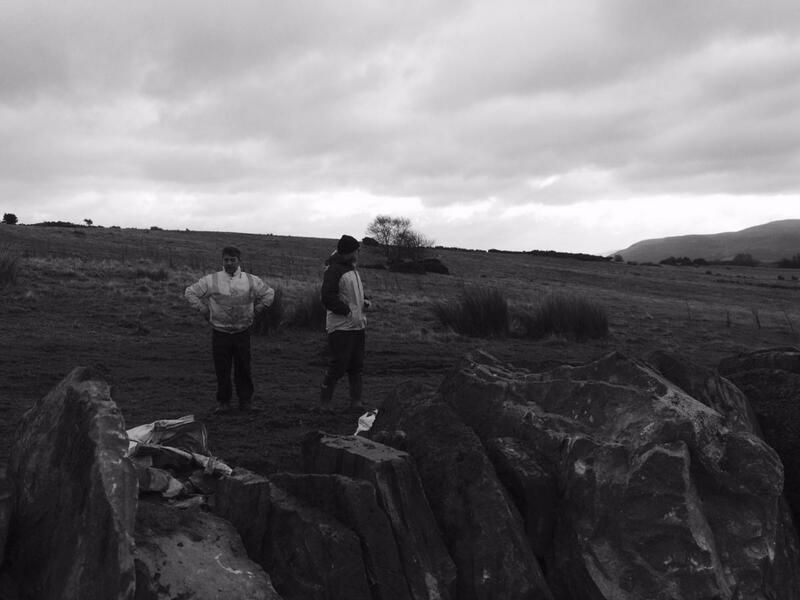 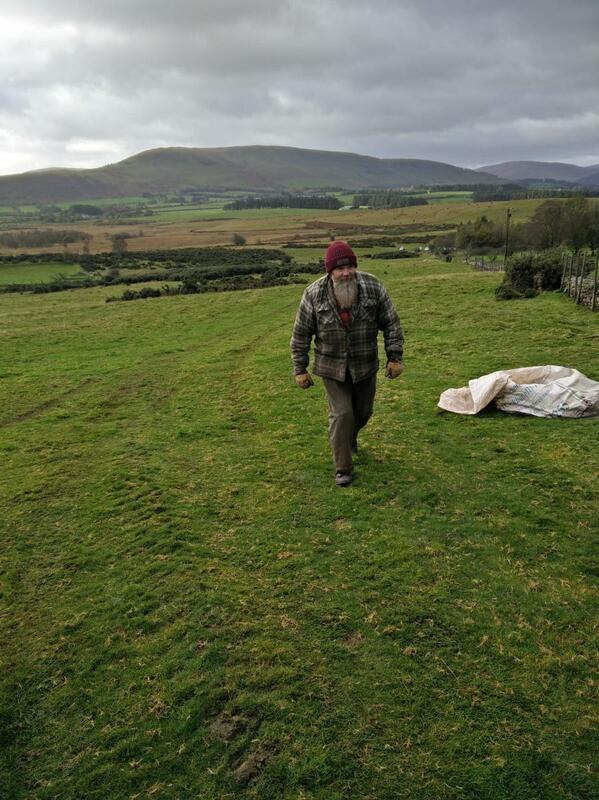 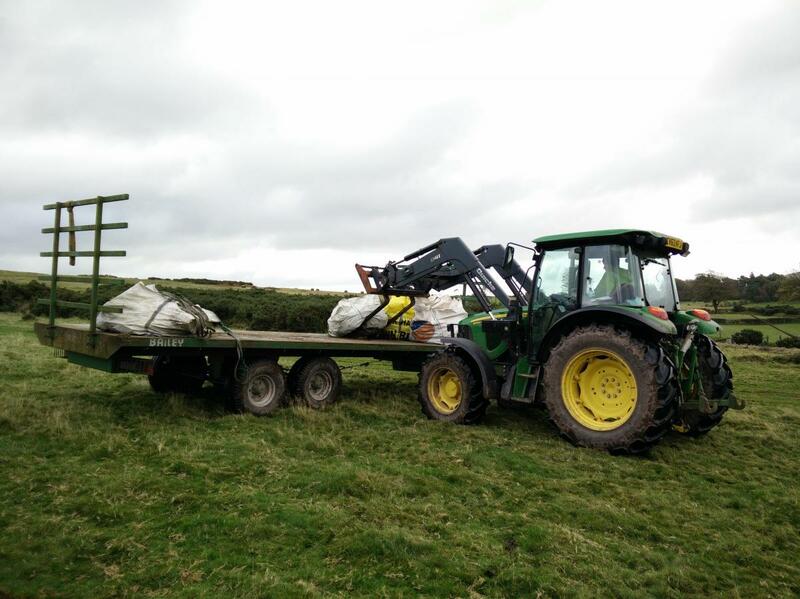 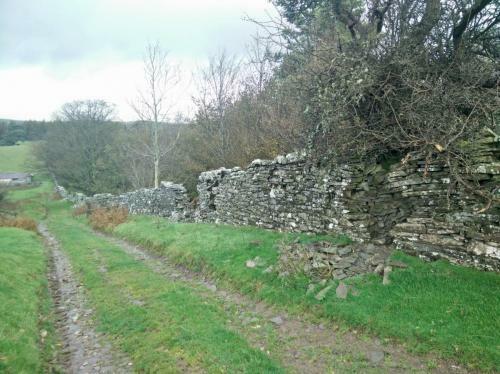 Weather conditions were fair to middling for the Brecon Beacons and the team swiftly copped the wall whilst loading loose stone onto a trailer with the assistance of the farmers Mr Frazer and Mr J Small. 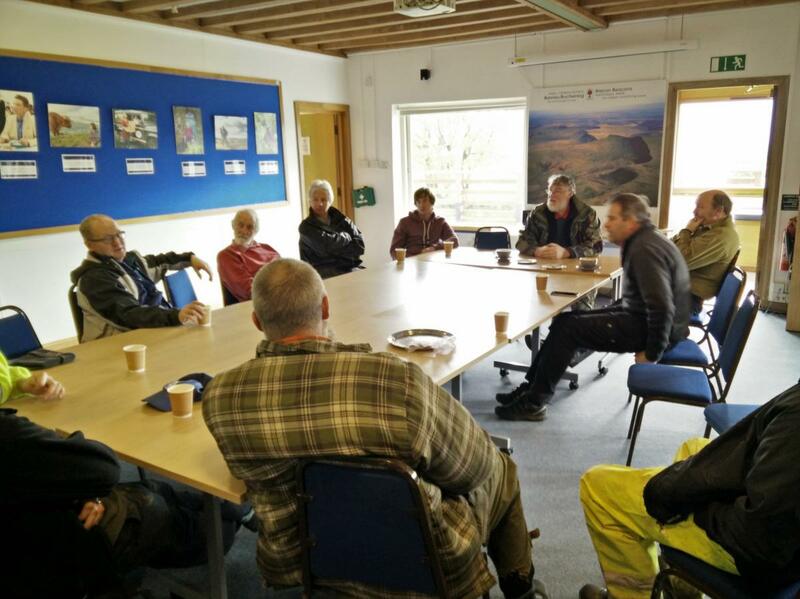 At 10:45 the party retired to the shelter of the mountain centre for teas, coffee and bara brith. 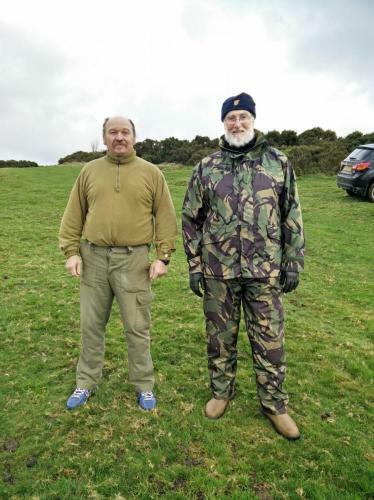 After a lively discussion the party then returned over to the Mynydd Illtyd common with Mr J. 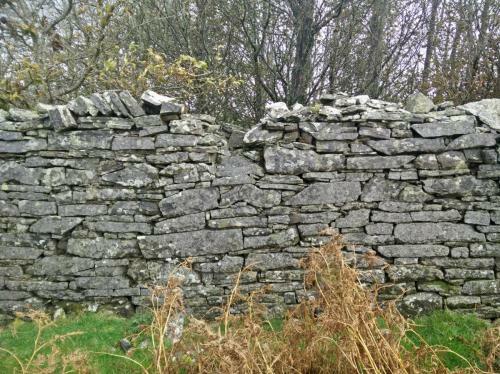 Small to recce a section of wall that acts as a boundary to the Pengarn estate. 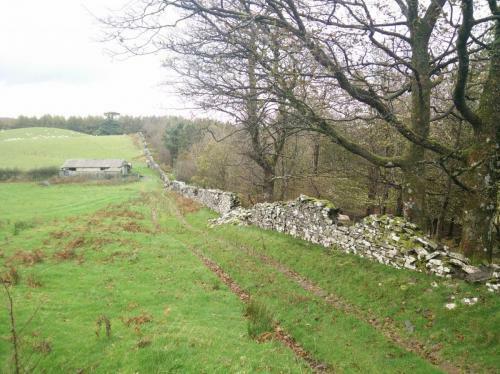 It is anticipated to use this section of wall in 2018 for branch training and taster weekends. 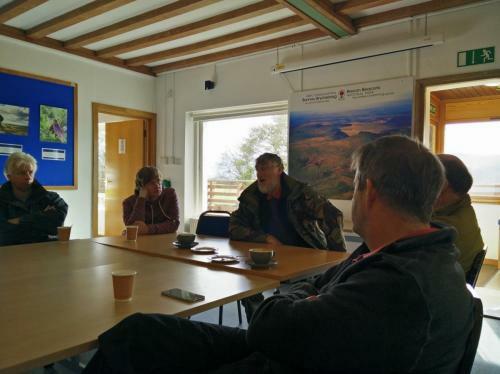 At 13:30 it was time to return once again to the mountain centre for an excellent lunch of Glamorgan sausage roll, soup and sandwiches. 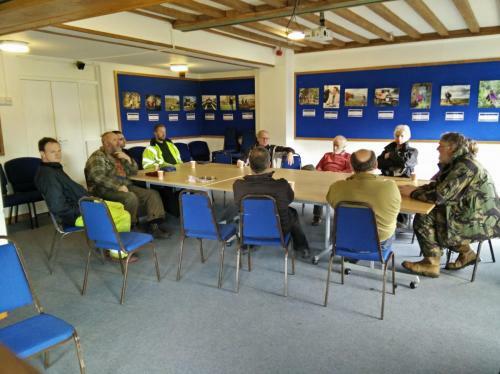 This was then followed by the 2017 Annual General Meeting. A further three members attended this meeting bringing the group up to a healthy 14 people ’round the table’. 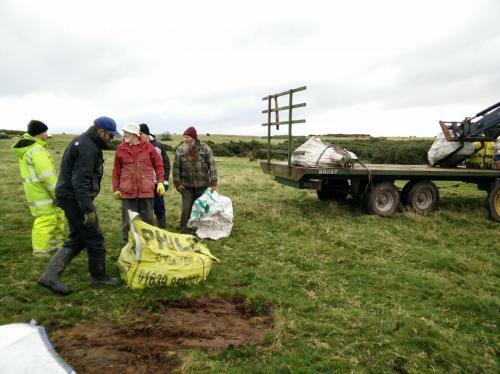 Full minutes of the AGM will be sent via email or physical mail (to those without email means) to all members. The next meeting will be the Christmas meal which is to be held at the Nant Du, Merthyr on the 9th December 2017. 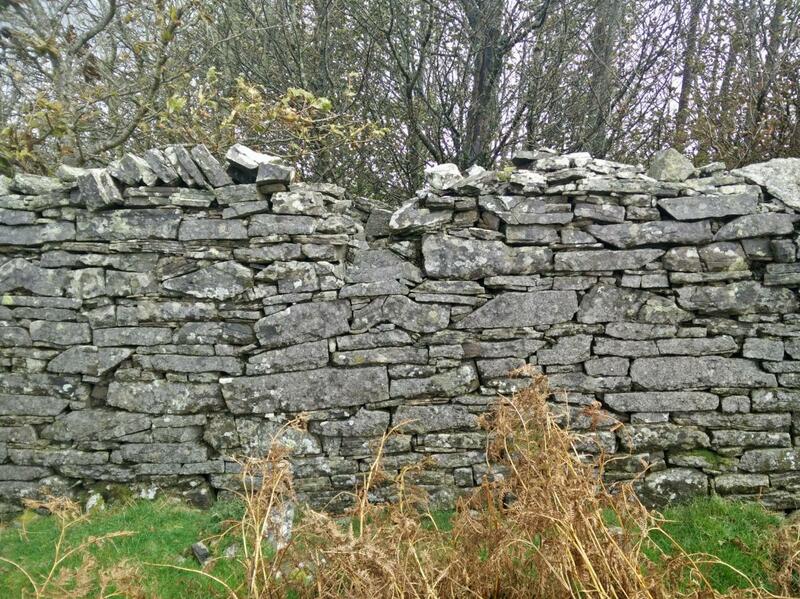 All enquiries to be sent to Brian Lock ESQ Branch Secretary.